Arcade classics of the past get a new lease of life with the Namco app for iPad, offering a free game every day. Get your retro on! 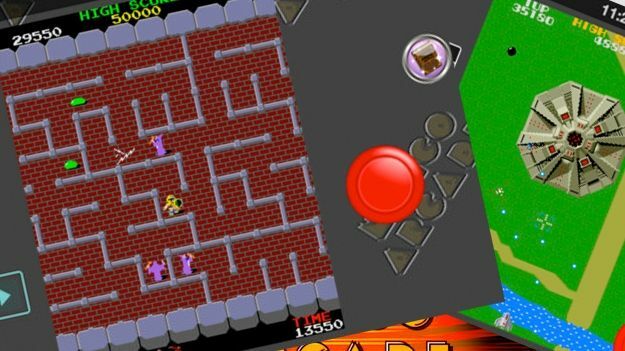 Namco has launched an app for iOS devices that allows users access to a host of coin-op arcade classics from the 80s. The Namco Arcade application for iPhone, iPad and iPod touch will allow you to play one of its old school hits for free every day, or pay an in-app subscription for permenant access to the titles. Among the games that have already been "faithfully restored" to their former glories are Xevious, The Tower of Druaga, Motos and Phozon with plenty more titles to follow. Gamers can also buy virtual coins to unlock additional plays, giving the game a little bit more of an arcade-esque feel and allowing Namco to squeeze a little bit more cash out of its archives. The Namco app follows the launch of the similar Atari classics app for iPad.